WASHINGTON — A NASA astrophysics mission that passed a key milestone after making cost reductions is studying potential additional cuts to one of its instruments. “The only other shoe that might drop is that we’ve been asked to provide a study to headquarters on additional possible cost reductions to the coronagraph,” he said. “It’s not that we’ve been directed to do that, but we’ve been asked to present options.” That study is due late this year. Kruk didn’t discuss what those additional cost reductions to the instrument might entail. The mission previously made a number of changes to the coronagraph, reclassifying it as a technology demonstration rather than a full-fledged science instrument, as part of an effort last year to reduce the mission’s estimated lifecycle cost to $3.2 billion. Those earlier cuts to the instrument, which precisely blocks light from individual stars to be able to directly observe dust disks or planets orbiting those stars, will reduce the number of masks and filters used by the instrument to a “minimum set” that can demonstrate the instrument’s technology while still being able to do some science. 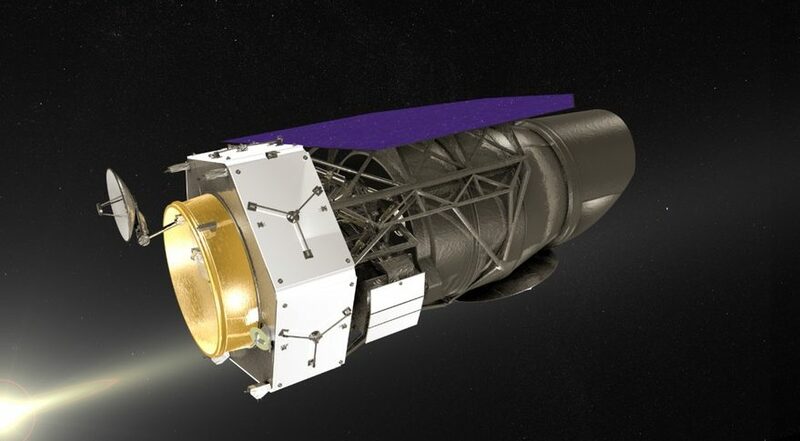 Those earlier cuts, mandated by NASA after an independent review found that WFIRST was several hundred million dollars above its estimated cost of $3.2 billion, have allowed the mission to get back under that cost cap and continue. The mission passed a series of reviews in May that allowed it to proceed into Phase B of its development. “For those of us who have been doing concept studies since about the year 2000 in one form or another, this is an amazing place to be,” Kruk said of moving into Phase B. The mission still faces some fiscal and other issues. The administration’s fiscal year 2019 budget request proposed cancelling WFIRST. That proposal, widely opposed by astronomers, has been rejected in appropriations bills making their way through the House and Senate that offer at least some funding for the mission. However, there are significant differences between the two funding bills. The House bill provides $150 million for WFIRST in 2019, while the Senate version offers $352 million. The latter figure is what’s needed to keep WFIRST on schedule for a mid-2020s launch, said Paul Hertz, director of NASA’s astrophysics division, during a presentation earlier in the day to the committee. WFIRST has also lost some capability to its primary instrument, a wide-field imager. Kruk said that the Canadian Space Agency notified the project in the spring that it will not be able to contribute the Integral Field Channel, an element of that instrument that would perform spectra on discrete parts of the instrument’s field of view. “This had been one of the central parts of the supernova program,” he said. “That is a significant change.” The instrument would have provided a “reasonably high quality” spectrum of each supernova studied to measure its redshift, or distance. Kruk said there was a “plausible path” to obtain that data instead through other observations of the supernova and its host galaxy. NASA was moving ahead with several other potential international partnerships with Europe and Japan to provide elements of the spacecraft. None have been finalized yet, and Hertz said the overall value of those contributions will be on the order of $50 to 100 million.